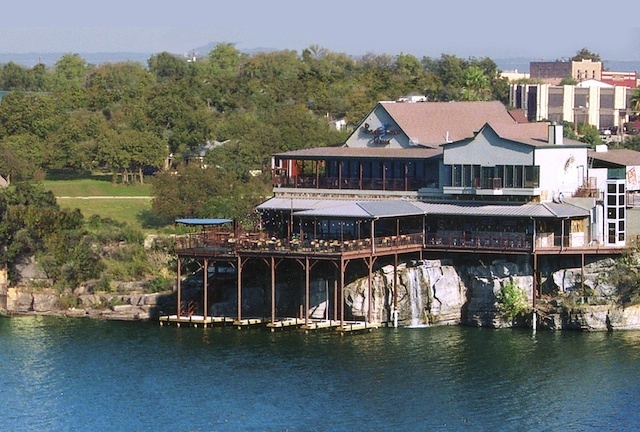 Over the weekend, we visited quaint little Marble Falls, Texas and dined at http://www.rivercitygrilletx.com/, a lovely restaurant overlooking Lake Marble Falls. Amen. Green Chiles are just that Green Chiles. That is one food I still long for. You can’t find them in Indiana. Tortilla fried catfish sounds great. Are those hushpuppies I spy? That’s funny you say that bc we actually went to another place a few hours later just to order a side of hushpuppies and Stella Artois, but I think what you see is a basket of fried okra. I loooove hushpuppies, though. I’m sorry you don’t have green chiles in Indiana, but one would think a manager of a food market in a town that has “green chile” fest would be aware that they exist. That’s right you would think that. But then you could also believe a 20 something server named Tiffany or Mc Something would know texting does not fit her job description. But between the two one is an irritant the other is heresy. Now I want some pups AND okra. Hell I’d go. 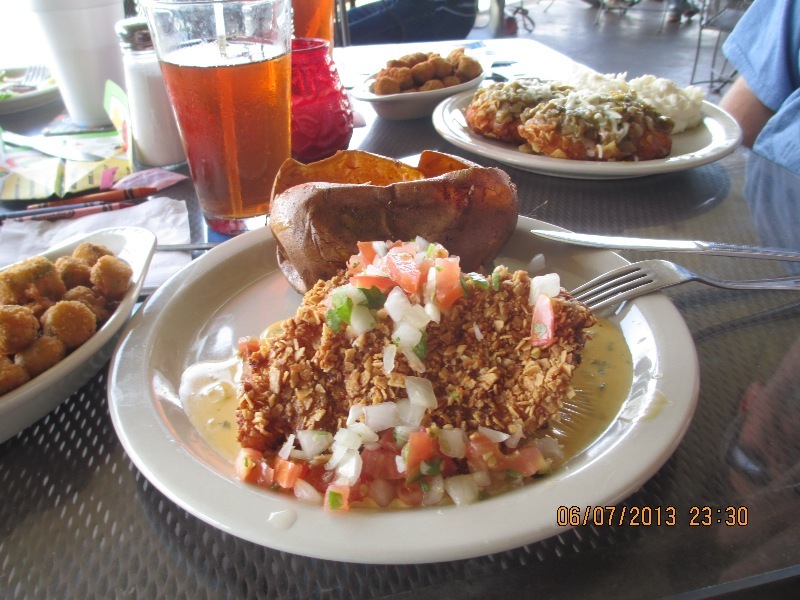 Of course you must offer fried catfish and Green Chiles. Hey put ’em in the puppies. That has been done with japs., but I don’t think with Green Chiles. I want ALL the foodstuffs! That place looks huge. Is that what they mean by Texas-size? I so want to be served by McKinley. Yes, that is Texas-sized. McKinleys, however, have to squeeze into Daisy Dukes, so they are more Rhode Island sized. Or like a Florida peninsula.